The new Life Fitness indoor cycle IC8 Power Trainer sets standards for high performance indoor cycles. 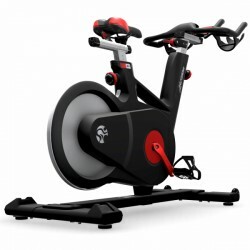 The IC8 Power Trainer is a powerful, Watt based training machine, which surpasses highest requirements of performance-oriented athletes of racing cycle sport, triathlon, and intensive cardio training. 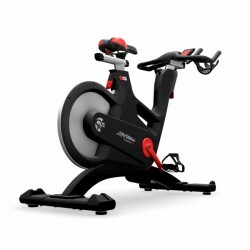 The Life Fitness Indoor Bike IC4 Powered By ICG combines innovative design with high-quality, mechanic components. This premium bike allows for an almost maintenance-free use thanks to its belt drive and magnetic brake system and offers you an optimal cycling experience. 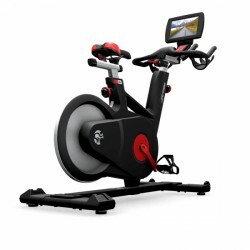 The LifeFitness indoor cycle IC6 MyRide Powered By ICG is a training bike, that withstands high training intensities and which provides excellent training features. The IC6 is equipped with the MyRide console, which offers 55 hours of training and route videos. 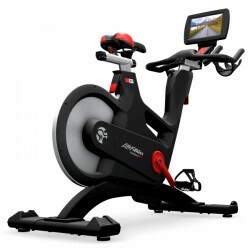 The Life Fitness Indoor Bike IC4 MyRide Powered By ICG combines innovative design with high-quality, mechanic components. This premium bike allows for an almost maintenance-free use thanks to its belt drive and magnetic brake system and offers you an optimal cycling experience. Experience with Life Fitness a unique indoor cycling experience: The Life Fitness Indoor Cycles combine a sporty racing cycle design with an extraordinary technology. 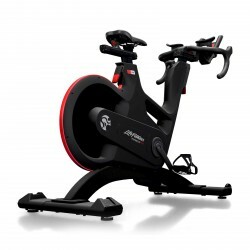 The high-quality design and innovative technologies provide a very smooth cycling experience - either at home or during the indoor cycling class. In order to ensure a bike training of maximum comfort and effectivity, the Life Fitness Indoor Cycles are equipped with smart features. The Life Fitness Indoor Cycle Series is made for all cyclists. 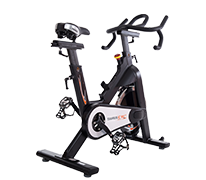 The IC1 for training beginners is equipped with a simplified range of functions, but still relies on premium materials and the approved technology and esthetics like all Life Fitness Indoor Cycles. When you go without a console during the training and just want to enjoy the pure cycling feeling, the IC4 is the right training machine for you. The IC7 offers an upgraded range, a maximum user comfort, and the most precise WattRate® Power Meter – an Indoor Cycle of top class! For a unique training experience at home, MyRide VX shows you virtual video instructions of HD quality on the console, just above the handlebar. You can cycle virtual tracks at home and compile individual travel routes. The tracks are categorised according to the incline profile. 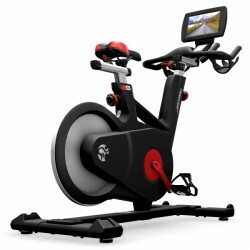 MyRide VX is an extra motivation for your training and is compatible with the Life Fitness Indoor Cycles IC4 to IC7. You train exactly for your fitness target with the innovative Coach by Color® performance programme for the Life Fitness Indoor Cycles IC5, IC6, and IC7. The programme includes five colour-encoded training zones for different intensity zones, which are adjusted to your personal fitness level. On the basis of your heart rate or your wattage, the respective intensities are displayed in colour. This colour system makes the controlling of your personal training load easier and comprehensible. You can either constantly work out in a certain intensity zone or change between highly intensive sessions and recovery phases when doing the HIIT training. In combination with MyRide VX or the ICG Training App, you experience highest training quality and motivation at home with the Coach by Color®.